I purchased the gateway from Gear Best for around £40~£60 pounds depending on any promotions on at the time. The delivery took a few weeks but was well worth the wait. 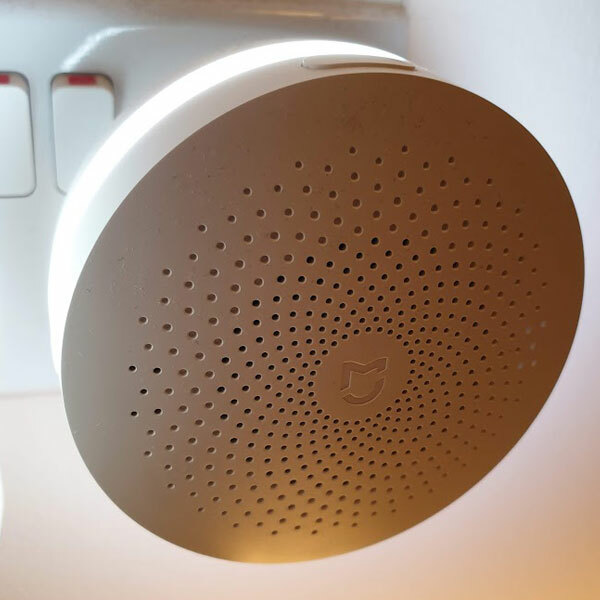 While the gateway does come with its own Mi Home app and can be used stand alone, integrating it with Home Assistant starts to unlock the possibilities such as node red automations and not having to use several proprietary apps to control your home. Just a quick note you will need to buy a separate Chinese->UK adapter to use this, which you can easily pick up from most major retailers or Amazon. This is my current list of Xiaomi devices which all seem to happily all function off the one Aqara Gateway, the prices of the sensors vary but most of the time you can pick one of them up for £5 or less so worth waiting for the prices to drop. I use IKEA Tradfri smart lights (cheaper than HUE!) within my home which in certain high traffic areas such as hallways it can turn the lights on automatically then turn off after a few minutes. You can read my Xiaomi Motion Sensors Node Red Guide to find out how I implemented mine. I have sensors on my main doors to alert me whenever these are opened but you could also can send a message to any Google Home/Alexa devices the minute these are triggered, handy for any unexpected late night visitors. Its also possible to load an mp3 file into the Gateway itself if you don't have any google or alexa devices yet. Straight forward mostly for readings but could be used to combine temps with a home assistant template sensor to give you an average house temperature if you find certain homes take longer to heat up than others, to then feed into your smart heating devices. The gateway itself has a full RBG spectrum of light so when you hook this up to a node red automation it can change lights / brightness depending on time or sunset or sunrise to give you an additional night light or if your doors open it can change red! Should I Buy the Xiaomi Gateway? It is also however possible to just buy the sensors and bypass the gateway altogether using Zigabee2Mqtt - if you are worried that China might be spying on you!